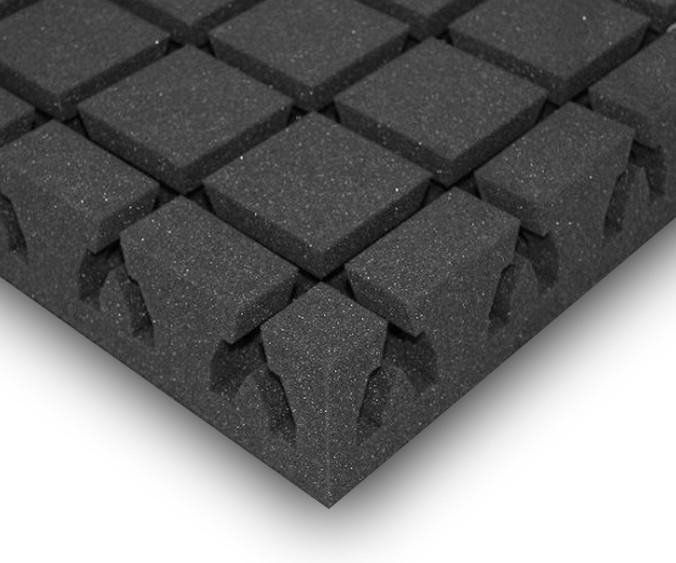 Whether as a bass trap or ceiling element (noise absorber), both variations have been designed specifically to absorb low bass tones. The sound waves of low-frequency tones are big and powerful and therefore most difficult to control. Whether you're trying to prevent bass frequencies from being transferred to neighbouring rooms or you want to absorb them (standing waves, room modes) – it is more difficult to control low-frequency tones than medium or high frequency tones, and much more effort is required. Fortunately, Pyra Bass Traps can solve the problem. These Pyra Bass Traps are easy to set up and there is no problem with adhesives or adhesive residues if you move. Your acoustic equipment can simply move with you – to your next studio job, rehearsal, a.s.o.